13 Seater Minibus Singapore comfortably seats up to 13 passengers or 9 passengers with luggage. Separate rear luggage compartment. Comfortably with a walk-in entrance & center aisle for easy access. This stylish 13 Seater Maxi Cab has every comfort to make your next outing stress free and fun. Book Our 13 Seater Minibus Now! Everyone wants to save some money. No one can overlook the opportunity to save some money. These days, many travelers are always looking for any opportunity to save money on their vacation. This is where 13 Seater Maxi Cab Singapore beats all other types of private transportation services. Its affordability, and the fact that it provides tourists and those who are roaming around the city opportunities to save some money along the way makes maxi cab Singapore the most popular private transportation service among travelers in the city of Singapore. With a 13 Seater Minibus Booking, travelers are given various opportunities to save some money on their travel. Let’s look at specific ways that make maxi cab the most cost effective private transportation service option. Any reliable minibus booking company offers standard rates. Despite the fact that maxi cab services are private transportation services, the rates offered are usually standard. The fact that you are paying normal rates for a private and luxurious transportation service means that you will be saving money even as you enjoy the convenience that comes with private transportation. If you are moving around with your own car, or if you have hired a car to explore Singapore, you will need to cater for parking fees. This means that every time you park your car, you will be paying for it. But with minibus services Singapore, there are no parking fees that you will part with as that is catered for by the company. After completing minibus booking and paying the required amount of money, our company will cater for any parking fee that will be required. With 13 Seater Taxi Singapore, you have the opportunity to choose what fits you from a range of available packages. Travelers are free to choose the packages that they find affordable and more convenient for them. The total cost is spread across every member of the group. This allows every member of the group to pay something that is significantly reduced. When you are doing minibus booking, whatever the rates indicated there is all you will have to pay. Every package has its own rates, and there are no charges that we don’t show you. This means that once you have paid what is indicated, you will not be required to pay any amount of money again. -Grace waiting time (15 minutes for 1 Way transfer) / (45 minutes for Arrival – once the flight/ferry has landed) thereafter SGD10 for every 10 minutes block will be charged to the total bill. 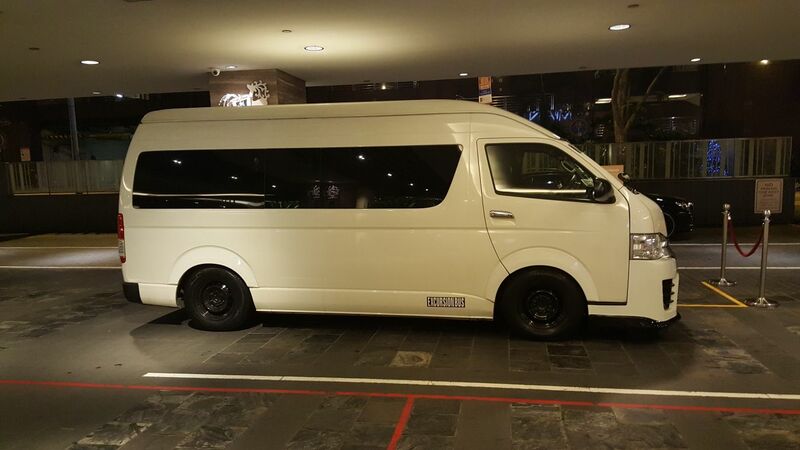 Choose our 13 Seater Maxi Cab to travel around in Singapore. Get it for 1 way or even for hourly disposal. Maxi Cab Singapore will ensure that our minibus will be there when are where you want to. Our 13 Seater mini bus can seat up to 13 Passengers comfortably OR 9 Passengers with 9 luggage! A popular choice for big family or friends with large luggage. Our 13 Seater Taxi Singapore is also useful for bulk transfer items. Such as bicycle transfer, moving items and many more. For small minibus, book our 7 Seater Maxi Cab or 9 Seater Maxi Taxi.